Earlier this year we drew your attention to XType Plus, an enhanced version of a web shoot 'em up arriving on the Wii U courtesy of the Nintendo Web Framework. It caught the eye by virtue of looking like, on the surface, one of the slickest titles to emerge from Nintendo's accessible development platform. Developer Phoboslab — led by Dominic Szablewski — has also produced the Impact engine to help others create and release their games on platforms such as the Wii U. In terms of XType Plus, Szablewski has now been in touch with us to confirm that it'll arrive very soon, and doing its part to put his engine to the test; it'll hit North America and Europe on 31st July. The shooter will have two modes — Classic Mode and a faster, action packed Plus Mode — and will include online leaderboards in which you can watch replays of the top runs. If you want to learn more about PhobosLab, its Impact engine and XType Plus, be sure to check out our extensive interview from earlier this year. The latest trailer is below, meanwhile, so let us know if this is on your radar. Is this like geometry wars? I logged over 1000 hours of that and was on 10 wii leader boards forever...I noticed I was like rank 14 when wii online got shut off. This will probably cost few dollars as others framework games? I can dig that! Nintendo should get Iain McLeod to do Spheres of Chaos for Wii U. I could pay for a psychedelic space shooter on Wii U. Depends on the price and I would like too see more variety but it is on my radar. Awesome! I'd been wondering when this was actually coming out. Depending on price and reviews I may get this. Not a huge bullet hell fan. Looks interesting for sure, hopefully SOMETHING good emerges from the Nintendo Web Framework. This could be the one. I'll pass on this one. Not exactly one to fight ONLY bosses in games. Is there co op for this game? 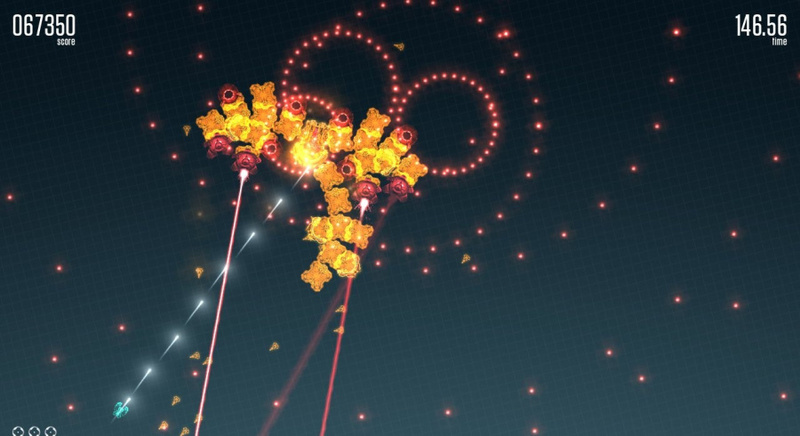 @Donutman A huge Geometry Wars fan myself, I'm also looking forward to this. Never uploaded any high scores, though I'd say I was pretty good at it (but probably not top 50-ish). First time hearing about this, and it looks pretty noice! If it costs as much as a typical Web Framework game, I'll look into picking it up launch day. @WillMelnyk - Ikaruga has been released on Steam, if that's any consolation. Hope it's like Space Invaders Infinity Gene, although I doubt it's nearly as cool. The music level were all the rage! But I might just give it a try.